Everyone wants to make a global difference, but it's hard to do it alone. We would love for you to join hundreds of other people to collectively do so massive good! The #joydivineproject will house 70+ kids rescued from the streets of Nairobi, Kenya. We're building them a new home. Phase two will be a trade school for them to learn skills to help them build a future worth living. With the help of people like you, we purchased 5 acres of land about one hour south of Nairobi for $55,000. Now it's time to raising funds to BUILD! Our goal is to raise $70,000 by December 2017 with your help. It's easy to get involved all you have to do is SAY IT. DO IT. FUND IT. 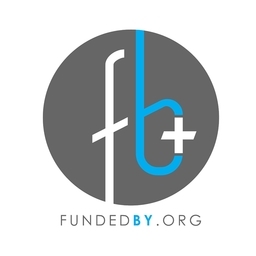 Visit our website at fundedby.org to find out how people like you are using their talents. You can find out more about Joy Divine at joydivinechildren.org.